The Kennedy Group is committed to creativity that optimizes your business and drives bottom-line value for you and your customers. Our innovation is born of the challenges you face. For decades, The Kennedy Group has pioneered products and services that have become industry-leading solutions in material handling. We’ve got the solutions you are looking for. From warehouse location labels and industrial labels to pallet labels and rack labels, if it makes your process easier, we’ve done it. Our market-tested supply chain innovation helps companies identify and track assets, protect the integrity of their brands, and promote security to eliminate unnecessary, costly expenditures and waste. Our Placard Label Holders feature patented Hold & Release® Technology for easy removal with no residue or messy overlap. Learn more about the only labeling system in the industry guaranteed to perform. 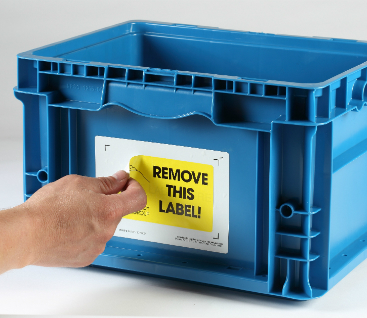 If your container has a ribbed or uneven surface, then you need our Board Placard Label Holders. These placards use our same Hold & Release® Technology so there’s no mess, but they can be fastened to containers that won’t accommodate our Original Placard Label Holder. From handheld containers to pallets and bulk-bins, our identification nameplates can label them all. We’ve got labels for high temps, extreme conditions and all elements in between. 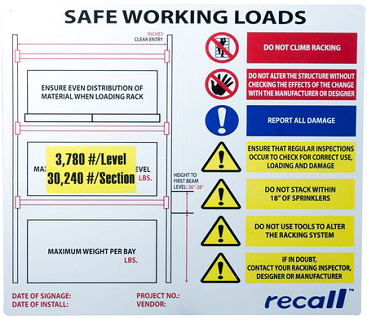 The Kennedy Group believes in keeping your crew safe, so our Rack Loading Signs are made to communicate safety info and can be customized for your needs. One side is for safety info, and the other side incorporates our patented Hold & Release® Technology for your identification needs. The Rack Placard is a permanent label holder that allows for single-use label application and removal with no sticky residue. 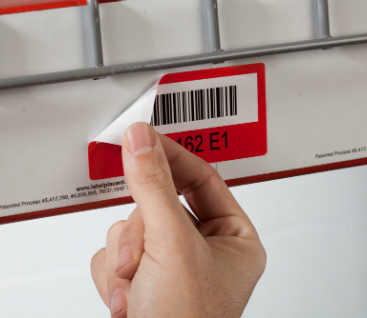 Simply roll it out on the rack and then identify the rack or shelf with the same bar code or label currently used. It’s cost-effective and simple. Everything is “smart” nowadays – why would labels be any different? 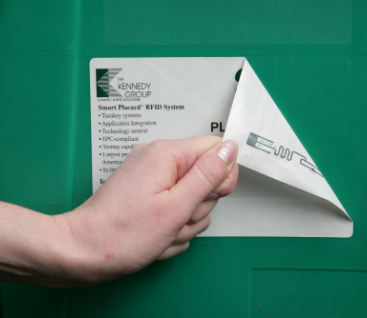 Our Smart Placards® use RIFD technology to track your products in the warehouse and beyond. Our innovative technology allows you to reuse and replace as often as necessary! Efficiency and safety. Two things every good warehouse must have for success. 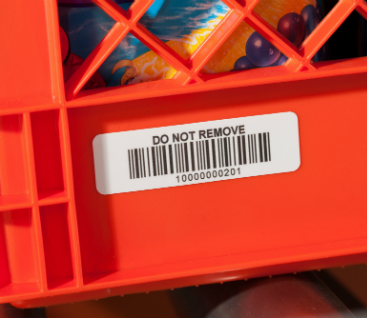 These labels provide high visibility, so you can track your products efficiently, but also to help workers in your warehouse load racks properly and safely. 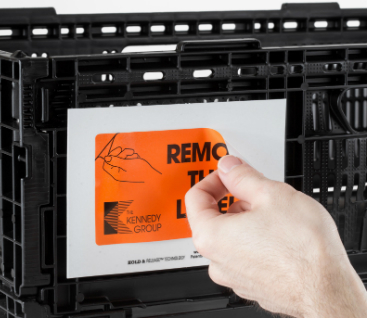 This video will highlight the advantages of using The Kennedy Group’s Placard Label holders versus traditional adhesive labels. One container is ready to go; the other is ready to go to the trash heap! Check out the difference our Placard Label Holders make in this “Tale of Two Containers” video.